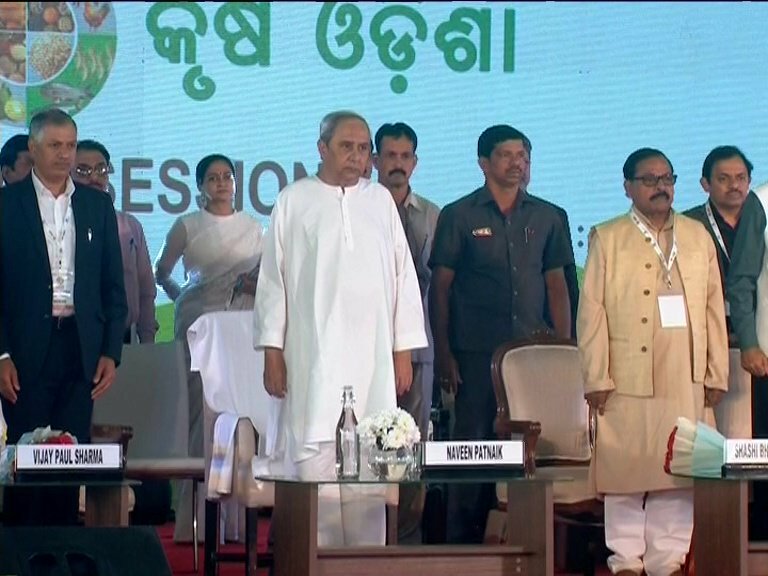 Bhubaneswar: Chief Minister Naveen Patnaik today inaugurated Krushi Odisha, the annual farmers’ convention coinciding Prime Minister Narendra Modi’s visit to Bolangir. The five-day State-level annual farmers’ convention of the State Government will continue till January 19. “KALIA is an ideal scheme for farmers of the entire nation,” said Patnaik. “Odisha has been a pioneering State in bringing out agrarian reforms. We have been presenting separate agriculture budget since last six years with massive increase in allocation for this sector. My Government has intensified its efforts to enhance farmers’ income with sustainable agricultural practices by promoting efficient extension and production technology, post-harvest solutions, effective value addition and remunerative market options,” added Patnaik. During the five-day programme, there will be seven farmers’ scientist’s interaction workshop. Besides these, there will be sessions for interaction of progressive farmers. There will be nine conferences, seminars on multiplying farming income, agriculture 2.0, sea and fresh water food processing, strengthening logistics, cold chains and warehousing, farm mechanization, organic farming, enhancing water use efficiency, agri-finance and women in agriculture.